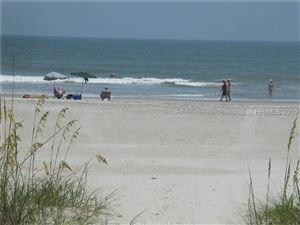 The Palmetto Dunes Resort has emerged as a luxurious combination of residential and resort life. Developed in 1967, this plantation borders the Atlantic Ocean with 3 miles of beautiful beach, and includes Shelter Cove Harbour, which is directly across the street, on Broad Creek. Access to Shelter Cove is provided by a bike path running underneath busy Highway 278. Palmetto Dunes has two privately gated neighborhoods, the Leamington community and the Mariner’s section. Luxury resorts by Marriott, The Omni and Disney are located within the Plantation and Shelter Cove. Unique to the plantation is its’ 11-mile lagoon system, about six miles of bike paths, three championship golf courses, and top ranked tennis center. The Palmetto Dunes community has even been recognized by Forbes magazine as one of the Top Eleven Family Resorts!